However, you shouldn’t let this deter you from taking part in the event. In 2017, EKM shop owners received on average a 60% increase in sales over the Black Friday trading period when compared to a normal weekend. Fortunately, there are numerous ways that smaller businesses can maximise their profits during the busiest period of the year, you just need to be prepared. In this article, we’ll talk everything Black Friday. We’ll explain exactly what this crazy event is, and we’ll give our top tips on remaining in the black this festive season. Black Friday is a key shopping day that originated in the US in the 1980s. Traditionally, it falls the day after Thanksgiving and marks the first of two huge sale events (the second being Cyber Monday). Retailers everywhere compete to offer the best deals around, in the hopes they’ll start the festive period in a good financial position. If you aren’t already familiar with Black Friday, that’s probably because it’s a fairly new phenomena to the UK having only been a major trend since around 2014. However, it’s becoming increasingly popular in recent years, with retailers such as Argos and John Lewis offering some of the best discounts around. This year Black Friday falls on the 23rd November 2018, so pencil it into your calendar. Cyber Monday is an online-only sales event (hence the name ‘cyber’) falling the Monday following Black Friday, meaning this year it falls on the 26th November 2018. 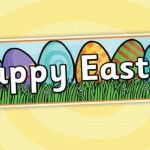 The event started more recently, in 2005 to be precise, when the The National Retail Federation noticed an increase in sales on this particular Monday after Thanksgiving. It’s said that this increase was a result of a widespread realisation and panic that Christmas is only round the corner, with consumers using their work computers to shop for Christmas gifts online. 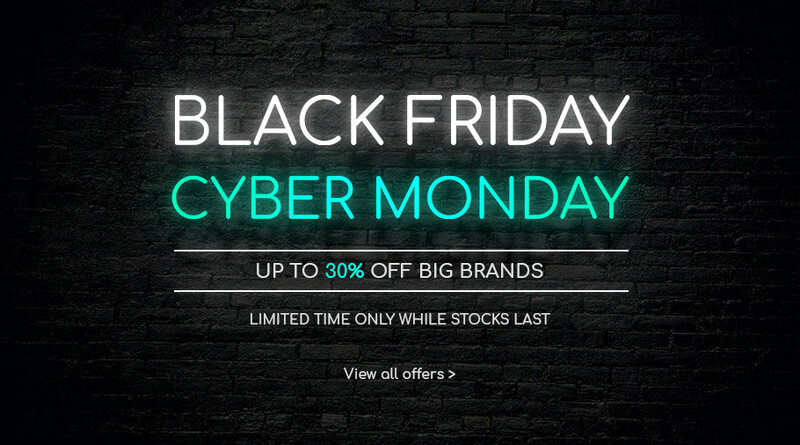 Similarly to Black Friday, Cyber Monday has also made its way over to the UK. What is the difference between Black Friday and Cyber Monday? The distinction between Black Friday and Cyber Monday is becoming increasingly blurred. What was once two separate events now kind of merges into one. It’s common for the sales events to begin way before Black Friday traditionally starts and extend far beyond Cyber Monday, with the majority of deals being readily available both in-store and online. It’s totally up to you whether you market your event solely as ‘Black Friday’ or ‘Black Friday and Cyber Monday’. If you have a brick-and-mortar shop as well as a website, you might want to offer different deals in-store and online. However, if you’re online-only and your event runs from the Friday to the Monday, it covers both days anyway – so it’s all in a name really. What effect has Black Friday had on retail and consumers? Black Friday has created an expectation amongst UK consumers that didn’t exist previously. It’s now common for people to buy the majority of their Christmas shopping during the sales event, rather than spreading it out over a few months. Black Friday has changed the retail landscape, and unfortunately, with the most highly anticipated sales event of the year comes significant consequence. Black Friday has received a hefty amount of bad publicity on social media, thanks to viral videos surfacing. In these videos, you can see people fighting over TVs and crowds stampeding through shops. The majority of consumers now choose to avoid the of out-of-town retail parks and shopping centres, instead shopping online from the comfort and safety of their own home. This is why it’s crucial for ecommerce business’ to capitalise on the opportunity, and attract the virtual crowds of online shoppers. Now that you know the general gist of Black Friday, it’s time to move onto our top tips for staying in the game this festive season. We’ll help you to build your strategy while touching on key aspects you should be considering, to ensure that you’re well-prepped and ready for a successful one. It might seem a little early to start preparations now when Black Friday begins in late November. However, the sooner you start planning, the more you’ll thank yourself in a few month’s time. You want to start thinking about the strategy you’re going to use, and the products or services you’re going to promote. The more decisions you can make now, the more time you have to make tweaks or changes before the big event. One of the easiest strategies to implement is a discount code that can be used across your entire site. All you have to do is set up the discount code ahead of your Black Friday promotion, adjusting the date and time to when it’ll go live. As we mentioned earlier, you probably can’t offer 30% off like the big retailers, but you could offer 10% or 20% off if you can afford to. It’s probably better to go down the route of carefully selecting a handful of products to promote, but we’re just putting this out as an option. Making the most of your best-selling products is a great strategy to implement at any time of the year, but it also works particularly well for Black Friday. This approach is the opposite of flogging your old products that no one really wants. Instead, you identify your most popular, sought after products and create a buzz around them by implementing limited time discounts and offers. Take a look at this article to find more information on how to determine your best selling products, and how you can promote them. This strategy works well for high-ticket products that have relevant ‘add-ons’ that bring extra value. You could buy a McDonalds burger on its own, but for a little extra, you could get some tasty fries to go with it. This concept is transferable to ecommerce, however, unfortunately you don’t have a cashier or sales assistant to ask offer the add-ons before at the point of purchase. 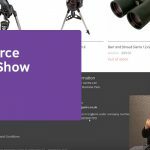 This is why if you don’t have related products set up on your shop, you’ll be missing out on the chance to increase sales and maximise your profits. Sell lighting? Do the work for your customers and display the correct light bulbs. Sell printers? Recommend the right ink to go with it. For example, if you sell beauty products, throw a free makeup bag in if your customer spends over £X amount, or if they purchase a certain product. Similar to offering freebies, throwing in free delivery or discounted delivery is a another great incentive to increase conversions. In fact, a retail study by Walker Sands says that 9 out of 10 customers believe free delivery is the number one incentive when shopping online. If it’s not feasible for you to offer free delivery on every order, consider offering free delivery on orders over £X to encourage your customers to increase their basket value. This clever little strategy is a great way of increasing sales while also encouraging email newsletter sign-ups and customer loyalty. 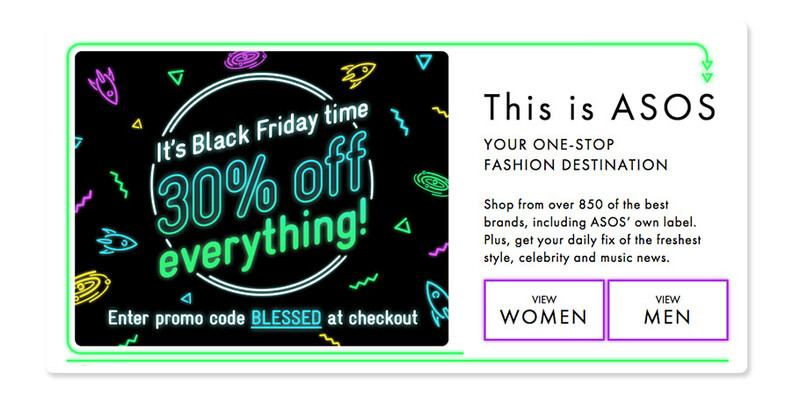 If you’re looking to build an email list to market to in the future, why not offer a Black Friday discount code that’s exclusive to those who sign up? This is relatively low-cost as only users who sign-up can use the code, and it also benefits you at the same time as it helps to build your list that’s yours to keep. 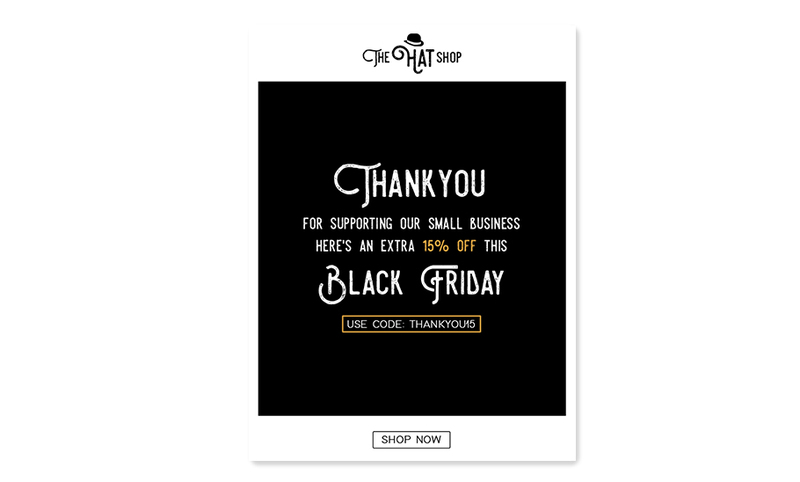 A great way to do this is would be to enable an email pop-up to your online shop, displaying a message related to your upcoming Black Friday promotion and how to get exclusive access. Ultimately, it’s down to you which strategy you go with for your Black Friday promotion. We recommend having a sit down and looking at the numbers to figure out which strategy is going to yield the best results for your small business. Once you’ve decided on the strategy you’re going with, it’s time to begin preparations. As discussed earlier, the sooner you can start prepping the better, so take a look at our top tips for getting your online shop ready for Black Friday. Create a list of the products you’re going to promote, making a note of the regular price and the sale price if applicable. If you’re featuring a different product every day, you want to plan the order they’ll appear. The last thing you want to do is randomly choose which products you’re going to discount the day before, instead, stay calm and collected by making the important decisions now. You want to create a set of key messages that you’ll communicate across your website and your marketing channels. 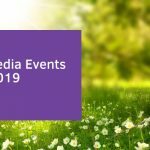 You essentially want to plan what you’re going to call your event, and the wording that you’ll use within your promotional material to ensure that it’s consistent. For example if you’re going to call your promotion ‘The Black Friday Weekend Sale Event’, you want to stick with this name throughout. This is what I’d consider the fun part – designing your web banners and and promo graphics. Switching out your web banner is the best way to shout about Black Friday on your homepage, as this is the first thing that your site visitors see (providing they land on your homepage). You want your graphics to be bold and eye-catching to encourage your customers to shop the deal. It’s also worth including details of your Black Friday promotion in your USP bar if you have one. Your site visitors might land on a category page or product page. This just ensures your promotion is visible from every page. Just like the video we showed earlier, online shops can also experience strain if a large amount of users try accessing it at any one time. This high volume of traffic can cause web pages to load slowly, and in extreme cases, entire websites can crash. Some Black Friday casualties of 2017 included big names like Debenhams and Game. This is why many retailers choose to span their Black Friday event over for a longer period of time, allowing them to spread the demand and maintain a healthy site performance. Even then, it’s still possible to experience huge surges during busier periods. Online tools such as Pingdom and Google Pagespeed Insights are fantastic for checking the loading time of your website ahead of Black Friday. Test the speed of your site by entering your website URL (it’s a good idea to test different pages). You’ll then be given an insight into the page speed time. [quote] If your website is new, or if you don’t have a low volume of users visiting your site from Google Chrome or using Google Analytics, Google won’t be able to retrieve enough data on your page speed. In this case, we recommend using Pingdom instead. Large image file sizes are often the culprit when websites load slowly, so use tools such as Tiny PNG to compress your images. Try to keep your image file sizes as small as possible without losing quality. You don’t want to compress your images too far as they’ll go blurry. In the example above, you can see that the image loses barely any quality when compressed from 500KB to 200KB. However, when compressed to 150KB, the image becomes pixelated – it’s all about finding the right balance. Ensure that your customers can checkout efficiently on your website by running a test order. If your checkout process isn’t smooth, you run the risk of losing sales and accumulating abandoned carts left, right and centre. If you’re an EKM shop owner, you can submit your site for a review by our payment specialist to ensure its ready for Black Friday – all you have to do is post a comment on this blog post with a link to your online shop and we’ll be in touch. Now that your site’s ready to handle the Black Friday surge, it’s time to capitalise on the vast number of shoppers through your marketing communications. Here are some ideas on where to begin with your marketing strategy. Create anticipation for your Black Friday promotion by starting your marketing about a week in advance. It’s likely your potential customers will be planning their shopping activity and weighing up their options ahead of time, and you want to be at the forefront of their mind. 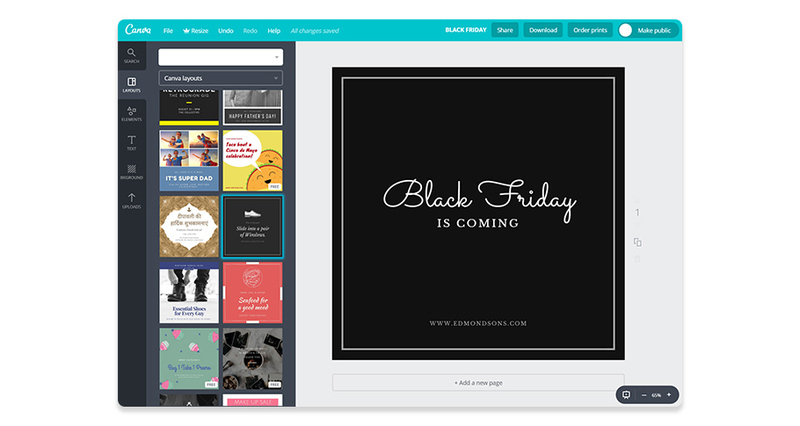 Build up suspense the days leading up to Black Friday by providing sneak peaks of your upcoming promotions. It’s not enough to post one announcement the day before and expect everyone to come running, you need to tease them with a preview of what’s to come. According to ContactPigeon, email marketing alone drove 23% of Black Friday sales in 2017, meaning this marketing channel should not be disregarded. It’s worth noting here that email is a fantastic marketing channel that you should be taking advantage of all-year-round, not just during seasonal periods. If you already have an email list to market to, then you’re in a great position for Black Friday. If not, then don’t worry, as you can start collecting email addresses now so that you at least have a small list ready for the festive season. By the time next year comes around, you’ll have a much larger list to play around with. Take a look at this ultimate introduction to email marketing for some tips and advice on getting started. A common theme in this article is planning ahead, so there’s no surprise that you should plan your email campaigns out in advance. Have the copy, subject lines, graphics and images ready to go so that you have time to make tweaks before the send date. The coming soon email is the first announcement of your Black Friday sale to create excitement ahead of the promotion. Many retailers use fancy countdown timers to build anticipation and countdown the days, hours, minutes and seconds to the big event. If you’d like to do this yourself, it’s actually fairly simple. Online tools such as Sendtric allow you to create an email countdown timer for free, all you have to do is enter when your timer ends and copy the HTML code that you generate into your email template. 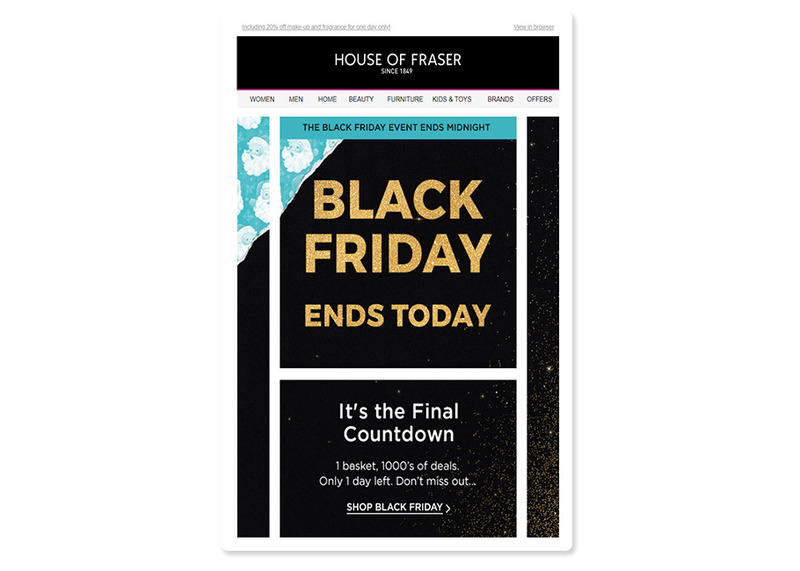 If you’re thinking about starting your Black Friday promotion before the 23rd November, then the early access email is a great marketing tactic to make your email subscribers feel special. Provide an ‘exclusive preview’ of your offers by notifying them first. 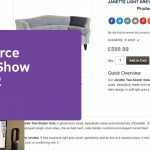 It’s technically not exclusive, as anyone could go on your website and stumble across your deals, however as you won’t be shouting about it on your other channels just yet, it’s a chance for your email subscribers to get the first look in. This also works particularly well if you have a brick-and-mortar shop and you’re giving exclusive online access before the offers launch in-store. 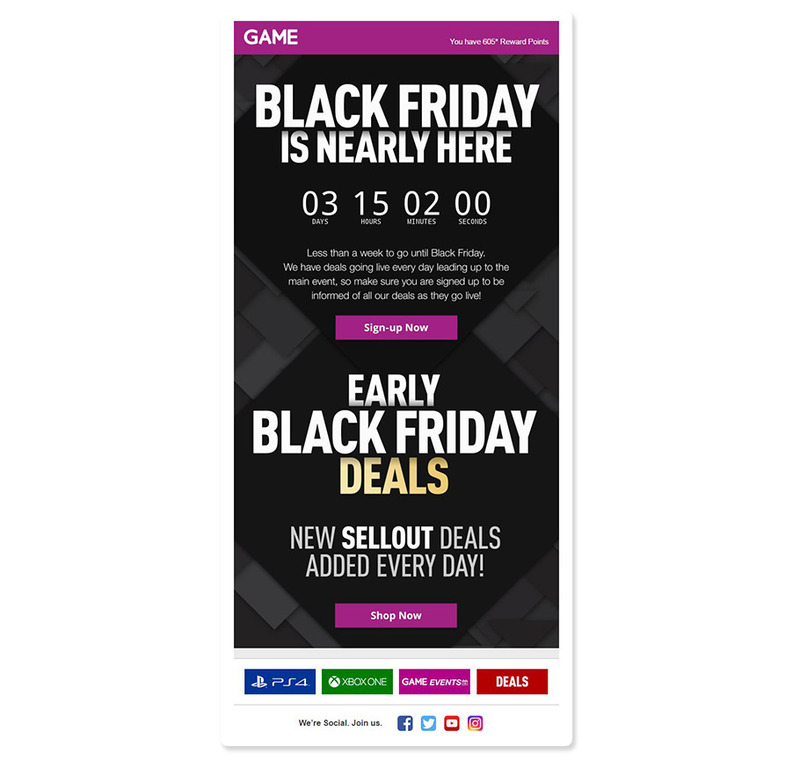 This is the email sent out to mark the official launch of your Black Friday promotion. There’s not really much else to it – it’s essentially the big announcement. 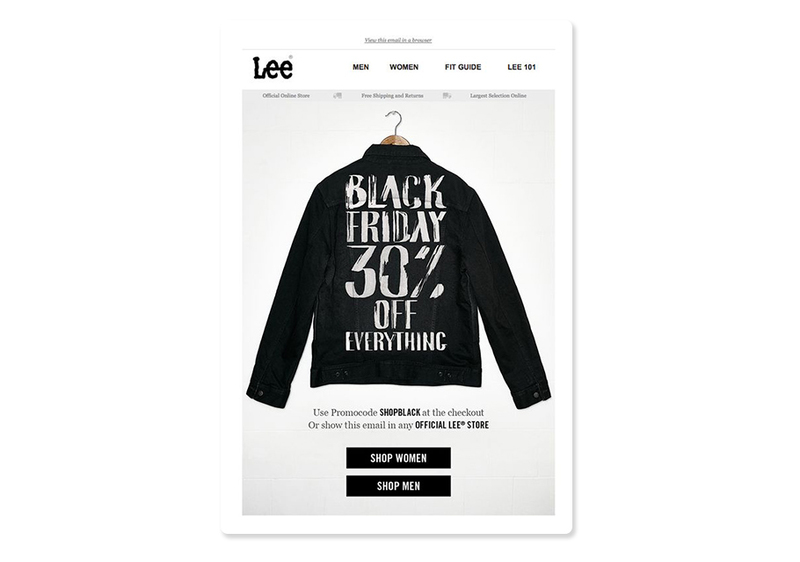 The last chance email is used to create a sense of urgency towards the end of your Black Friday promotion. They use time-conscious copy such as ‘limited time left’, ‘ends today’ ‘only 1 day left’ etc. It’s a chance to capitalise on those last-minute sales. You want to focus your efforts on the social media platforms that get you the best results. For example, if your posts perform better on Instagram, you’ll want to concentrate that platform. As a small business owner you’ll be busy working on other aspects of the promotion, so avoid stretching yourself too thin this Black Friday. 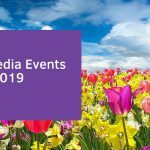 Similarly to your email marketing campaigns, you should aim to build suspense and anticipation on social media ahead of your event. A simple ‘Coming Soon’ post or a countdown each day will build up suspense and requires minimal effort to create, particularly if you use free online tools such as Canva. Here you can choose from a selection of ready made templates and make tweaks to them to suit your brand, or you can create a post from scratch. It’s a great tool for those with minimal design skills as it provides the correct template size for each social media platform. You want to shout about the different offers that you have available to your customers. If you’re offering free delivery, make this clear. If you’re offering freebies – show exactly what you get. The more creative and interesting you can be when displaying your deals the better. 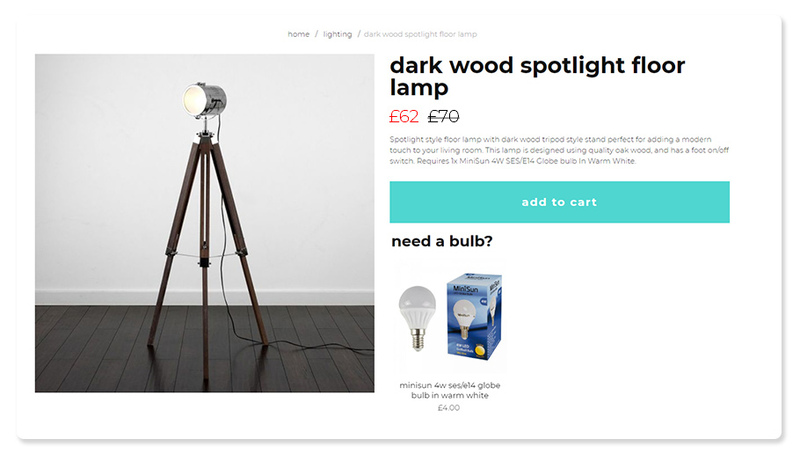 You might bag a sale or two just by sharing your white-background product images and a price, but your audience will connect more with well put-together posts such as the one below, which could yield even better results. Consumers’ newsfeeds are going to be swamped with Black Friday posts, so how do you break through the noise? Using light-hearted humour will go a long way. It doesn’t have to be anything complex, in fact, the post below by Amazon is incredibly simple. 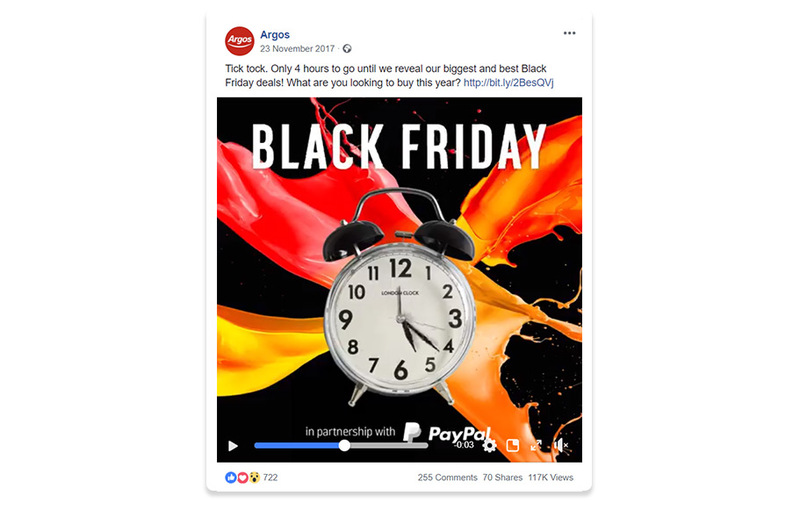 It’s funny, memorable and unconventional, and it works towards achieving a bigger goal beyond Black Friday sales; it generates a heap of brand awareness. Posts such as this can show off your brand’s personality, you just need to make sure you’re not trying TOO hard to be funny. 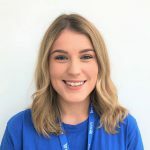 Take a look at this tweet by Currys PC world. Ok, it might not have gone viral like the Amazon post, however it uses humour to emotionally engage with their customers. According to Social Media Today, video posts on Facebook have 135% greater organic reach than photo posts. Facebook videos don’t have to be anything complex or fancy, they just need to be eye-catching. Take a look at this Argos video below, counting down the days to their Black Friday event. It’s simple yet extremely effective. Hubspot say that 64% of users are more likely to buy a product online after watching a video, so if you have the time to dedicate to creating short videos, you’ll see the results.You could even try going live on Facebook, it’s a fool-proof way of engaging your users while also attracting new ones. While social media is a great free tool for driving traffic to your site, you cannot underestimate the power of paid ads. 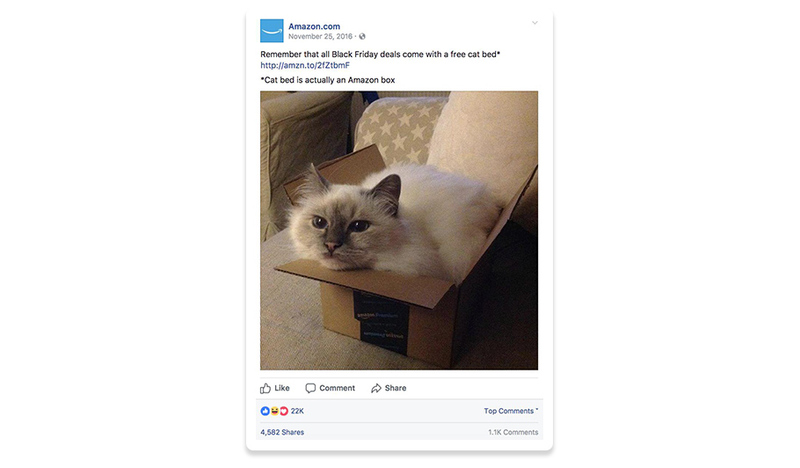 The algorithms on social media platforms have made it extremely difficult to get reach on your posts, so unless you go viral like Amazon did with the cat post, your efforts are going to have minimal impact. Therefore, the best way to reach your target market is by setting up a series of ads on the social platforms you get the most engagement on. One way you can go about this is by creating remarketing audiences for your chosen ad platforms such as Facebook. The idea is that you’ll re-market to site visitors who have been on your website previously. Perhaps they browsed your products, but didn’t quite go on to make a purchase. Later down the line you’ll present them with an ad for your Black Friday promotion showing the new sale price of your products, or the discount code you’re offering. It’s essentially a way of saving abandoned carts, as it entices back old customers that you didn’t quite manage to convert. To set up a remarketing campaign on Facebook you’ll need a Facebook Business Manager account. You’ll then need to create a Facebook Pixel and install this code onto your shop, which is easy with the EKM Facebook Pixel feature. Next, you’ll want to create a custom audience for ‘website traffic’, say within the last 30 days or 60 days. Create an ad campaign that you’ll target to that audience, with details of the Black Friday offers or promotions, set your budget, the time frame the ads will be displayed for and then publish the changes. Consider setting up a campaign using a lookalike audience to further harness the data from your remarketing campaign. To put it simply, Facebook will use the data from your selected audience to find people with similar profiles – they’re basically doing the hard work for you. This allows you to reach a broader audience, while giving you a better chance of finding new customers. Once again, include the details of your promotion with an eye-catching visual to entice new customers to your site. 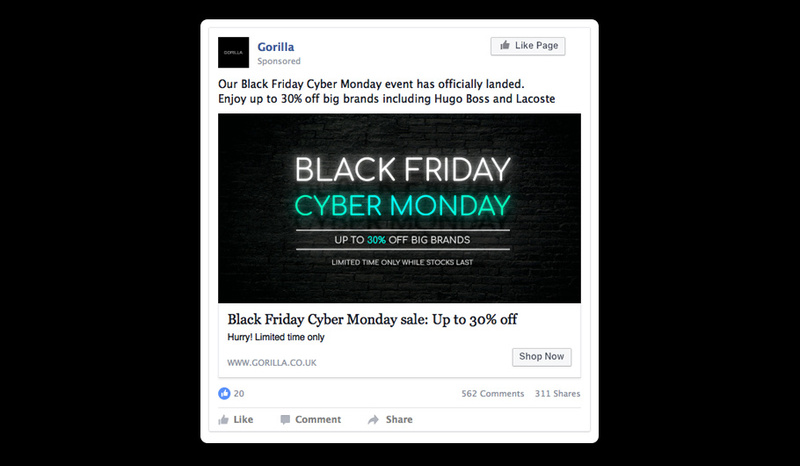 Another way of advertising your Black Friday event is to set up the specifically targeted audiences yourself. For example, let’s say you’re selling pet collars, you could target users who are pet owners, dog food buyers, cat food buyers etc, and then push your promotion to them. Managing customer expectations should be on your agenda all-year-round. However, it pays to be extra attentive during Black Friday as this is a chance for you to acquire new customers and drive repeat business at the busiest time of the year. Make sure you’re keeping on top of your inventory so that your stock levels are accurate. You don’t want to sell the same product twice, as this will result in a customer service nightmare. You’ll disappoint your customers if you sell them a product you don’t actually have, and they’ll be put off shopping with you again in future. It’s all about ensuring you meet expectations by managing your stock effectively. Be prepared for more customer service requests than usual. Ensure you have live chat or Facebook messenger chat turned on so that you can respond to questions instantaneously, and man your phone and mailbox. This is your opportunity to make a lasting impression, so that you don’t miss any queries. As discussed, a lot of savvy consumers wait until the Black Friday sales to do the majority of their Christmas shopping. This means that before making a purchase from your website, they’ll want to know what the deal is with your returns policy. Make the returns process easy to find on your site and ensure it’s hassle-free. Consider putting your customers first by extending the number of days they have to return items, in case they’re unwanted Christmas gifts. Naturally, Black Friday and Cyber Monday present hurdles and obstacles to retailers. The best thing that you can do is to learn from your mistakes and set goals to ensure that next year’s even better. There are valuable lessons to be learnt from things that don’t quite go to as smoothly as you’d hoped. For example, if you planned to stretch your event over the space of seven days, but you ran out of stock on the second day, you know that next year you need to pack your inventory full in preparation for an increased number of sales. The best thing that you can do is document what goes well and what doesn’t as you go along, so that you can refer back to it at the end. We wish you all the best with your Black Friday Cyber Monday event and may it be a successful one. Should you have any questions, feel free to comment below this post and we’ll get back to you. Social Media and Content Creation @ EKM. Loves drawing, animals and all things crafty.